Oliver Haupt grew up in Cologne. He studied Arts and Photography. 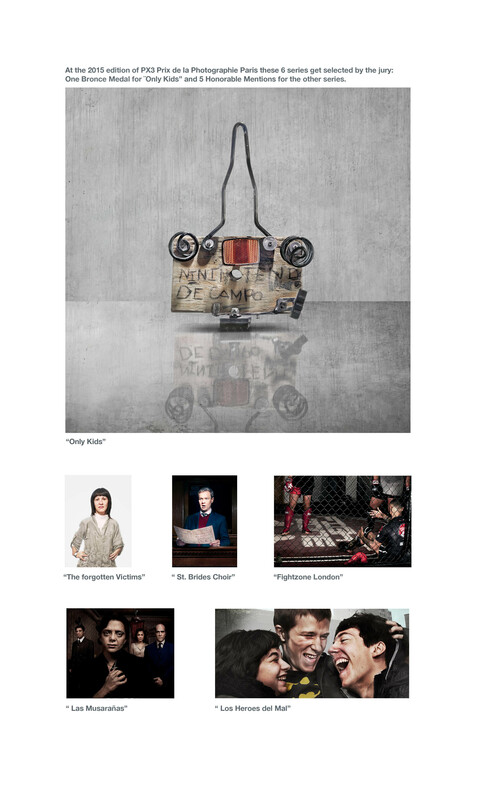 Before becoming a photographer, Oliver developed his career as a creative in various advertising agencies. What Oliver moves is his love to record life. He works for known brands and small clients and on his personal projects, shooting photos, video and content. His highly varied and original body of work covers a wide range of themes and subjects, from natural works to highly stylised and aesthetically complex pieces. Always commune is the high standard of quality. He comments on this spread of different work: ¨If I would only shoot natural and sensitive children photos, it would loose the depth behind. Life has a lot of contrast and it is too fascinating to limit yourself on one area. And what applies personally for me is true for my pictures. I am sure that my thrill for a 2nd world war jet makes my sensitive children shots even more sensitive. And vice versa.¨ The magazine Art Jobs published Oliver’s interview about this. Oliver’s work was selected and awarded at the Lürzer’s Archive 200 Best Ad Photographers, at PX3 Prix de la Photographie in Paris and at AOP London Photographers Award, AFP Barcelona, IPA, Cannes, El Sol, Anuncios and Lürzer’s Archive 200 Best Digital Artists. His photos where exhibited alongside Les Rencontres d’Arles and he took part at Photoespaña in 2013 and in 2016. He is passionate about his work and this is evident in the unbroken dedication given to every project from the initial stages to the final result. Currently based in Madrid, Oliver is working all over Europe. He is very flexible with traveling and adopting to new situations and people. 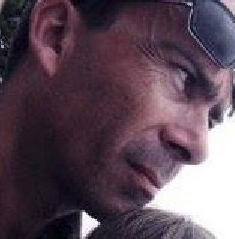 Oliver is fine working together with foreign production companies or producing with his own team. 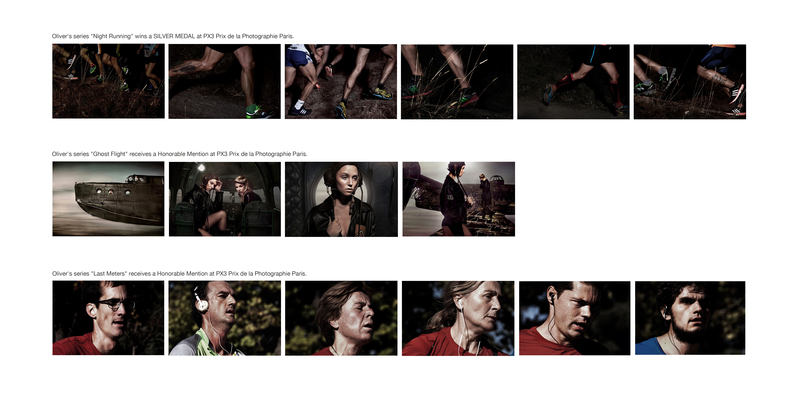 Oliver’s series “Night Running” wins a SILVER MEDAL at PX3 Prix de la Photographie Paris. 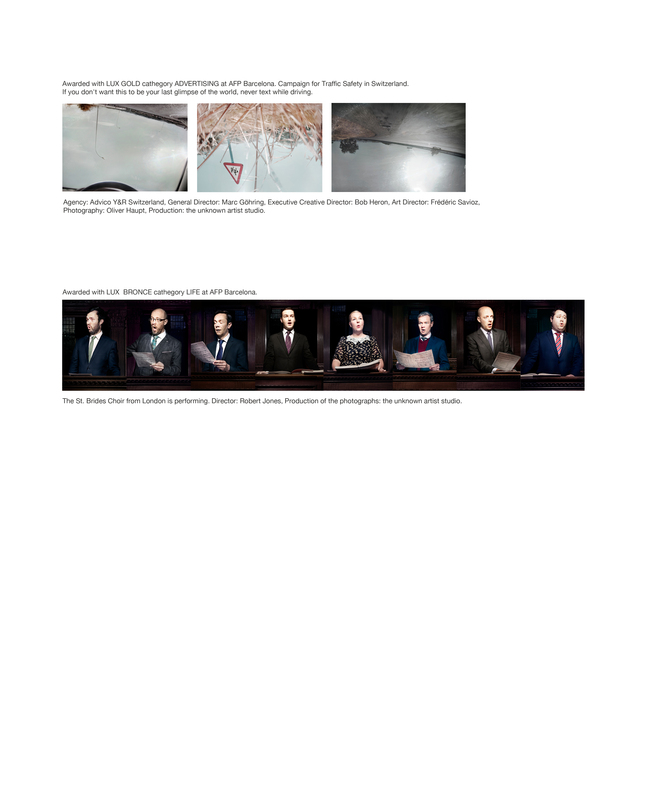 Oliver’s series “Last Meters” receives a Honorable Mention at PX3 Prix de la Photographie Paris. 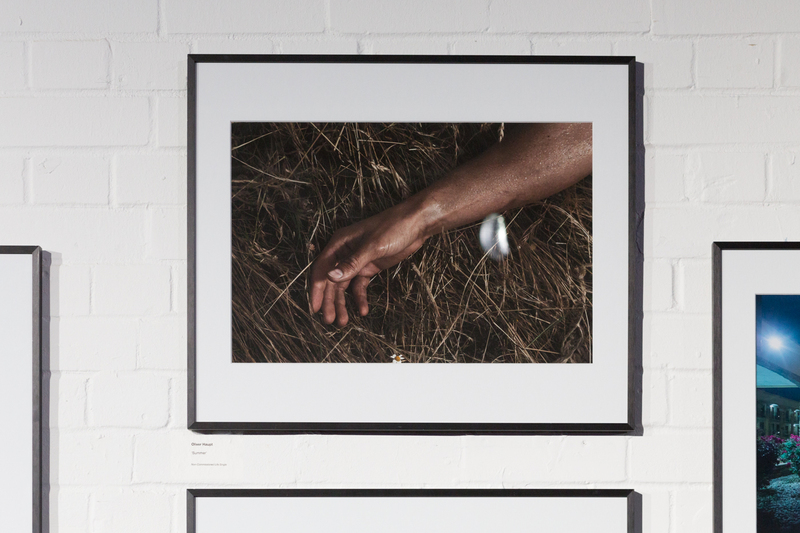 Oliver’s series “Ghost Flight” receives a Honorable Mention at PX3 Prix de la Photographie Paris. Oliver’s series “Head Under” wins a SILVER MEDAL in the cathegory PERSONAL WORK at 2016 LUX Award of AFP Barcelona. The image “Only Kids” will be taking part at the exposition “No Words” at the Gallery BAT Alberto Cornejo alongside Photoespañe 2016. For the 2016/17 edition of Lürzers’ Archive 200 Best International Advertising Photographers these 6 photographs get selected. This makes it the fifth consecutive edition Olivers’ work is selected by the judges. Oliver ranks over the last 5 years on the 12th position of the Lürzer’s Archive International Ranking. Production of the photos: the unkown artist studio. The 6th of February 2016 opening of group show ¨30 Fotógrafos de Hoy¨ as part of SegoviaFOTO 2016 Art Show with Oliver’s ¨Silence¨ photographs. Oliver’s photos for the campaign for Traffic Safety in Switzerland win a GOLD MEDAL in the cathegory ADVERTISING at 2015 LUX Award of AFP Barcelona. Agency: Advico Y&R Switzerland, General Director: Marc Göhring, Executive Creative Director: Bob Heron, Art Director: Frédéric Savioz, Production: the unknown artist studio. Oliver’s photos for the St. Brides Choir from London win a BRONCE MEDAL in the CATHEGORY LIFE at 2015 LUX AWARD of AFP Barcelona. Choir Director: Robert Jones, Production of the photographs: the unknown artist studio. 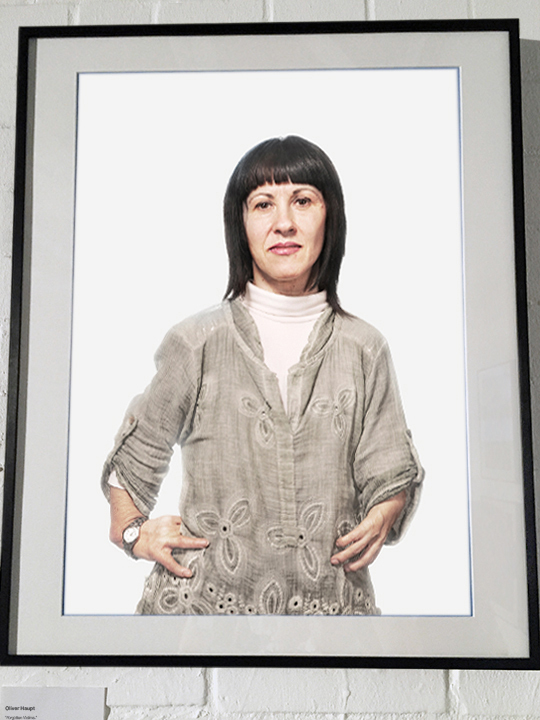 Oliver’s portrait of Luisa Torrijo for The Sunday Times Magazine enters the 2015 AOP Award Show in London as Finalist. Director of Photography: Jon Jones, Reporter: Caroline Scott, Production: the unknown artist studio. The spanish editorial: “La Fabrica” published Oliver’s “Silence” and “Nature Morte” series in their new edition: “Contemporaries”. 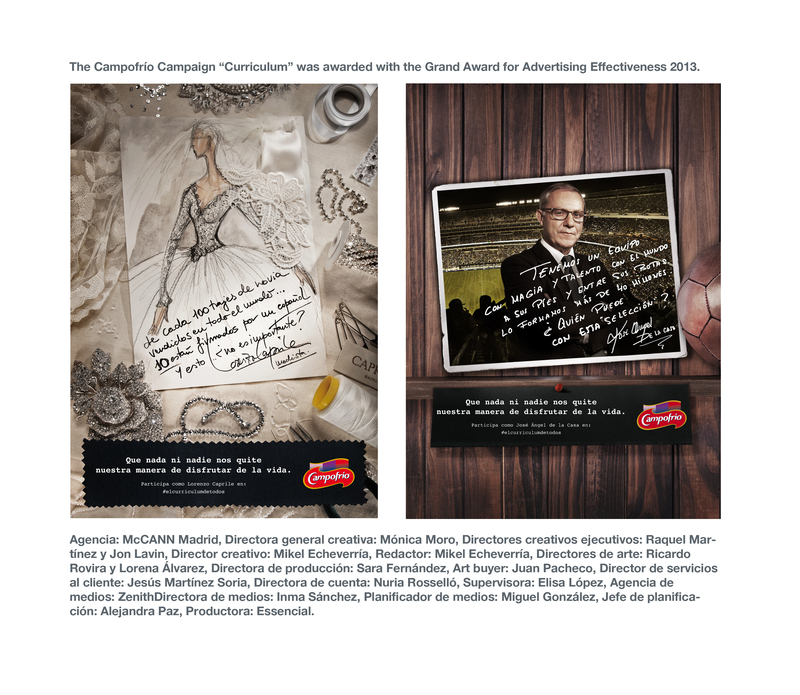 The campaign ¨Master’s Gin¨ wins a Silver Medal at the Lux Awards at the AFP Bareclone in November 2014. For the 2014/15 edition of Lürzers’ Archive 200 Best International Advertising Photographers these 4 photographs get selected. This makes it the forth consecutive edition Olivers’ work is selected by the judges. 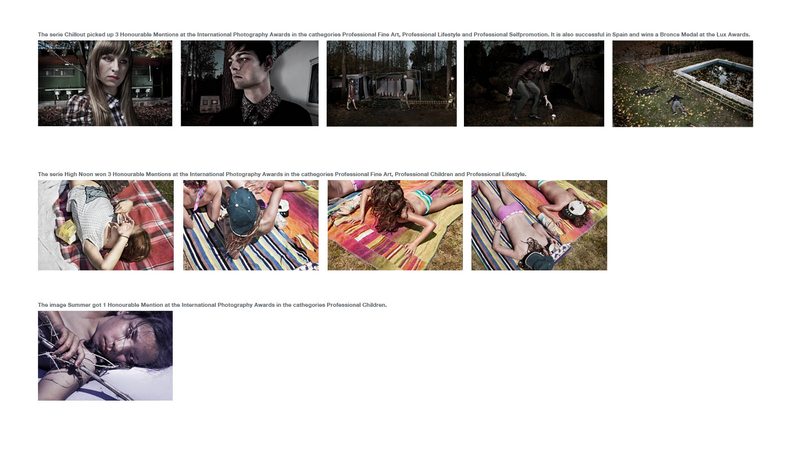 These 6 photographs get selected for the Lürzers’ Archive 200 Best International Digital Artists 2013. And the other 2 images of the Jets enter the Lürzers’ Archive Magazine. The Lürzers’ 200 Best Advertising Photographers 2012/13 selects four fotos from the series Kids. The pictures also get an Honorable Mention at the PX3 Prix de la Photographie, Paris 2012, and a Lux Silver at the AFP Lux Awards 2010. 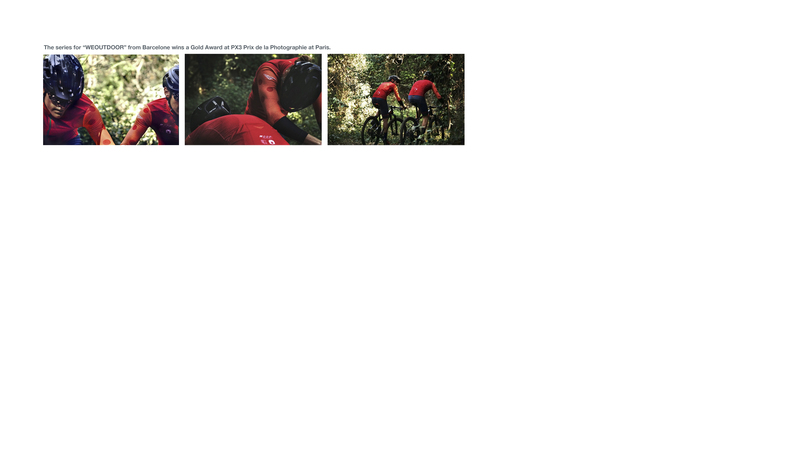 The series ¨Fight the Hoodie¨ for the H Magazine recieives an Honorable Mention at the PX3 Prix de la Photographie, Paris 2012. For the 2012/13 edition of Lürzers’ Archive 200 Best Advertising Photographers, the series gets selected making this the third consecutive year Olivers’ work entering the special. 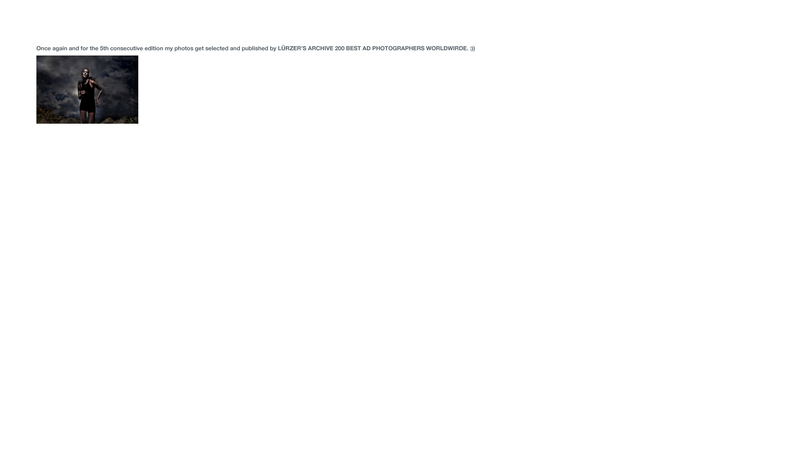 It is also successful in Spain and wins a Gold Medal at the Lux Awards at the AFP Bareclone in November 2012. 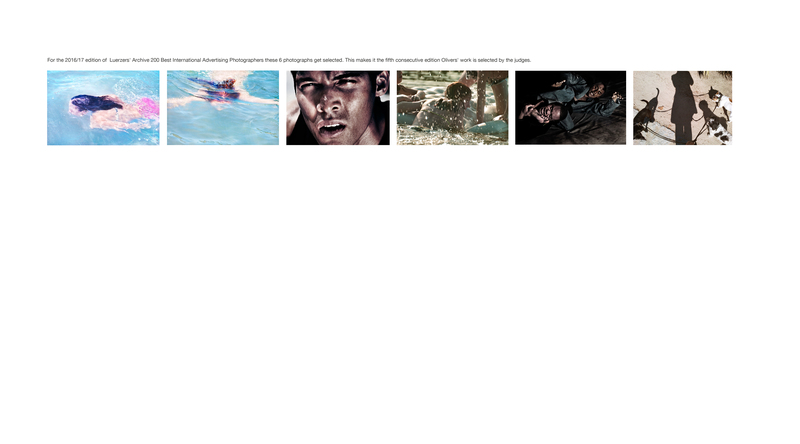 The Corona Campaign with Olivers’ photos is finalist at Cannes Ad Festival in 2011. It is also finalist at El Sol 2011. Agency: JWT Madrid, Executive Creative Director: Miguel Bernfica, Creative director: Jaime Chávarri & Juan Gracía-Escudero, Art Director: Juan Gracía-Escudero, Copy: Jaime Chávarri, Producer: Antonio Ortega & Ana Malpica. 2011 Olivers’ work is succesfull at the ¨Photography Open Salon¨of Galery Huit at Arles. Later exhibition alongside Les Recontres d’Arles at Gallery Huit. Spring 2012 the show moves to Malaysia. The same image receives a Honorable Mention at IPA International Photography Awards 2012. 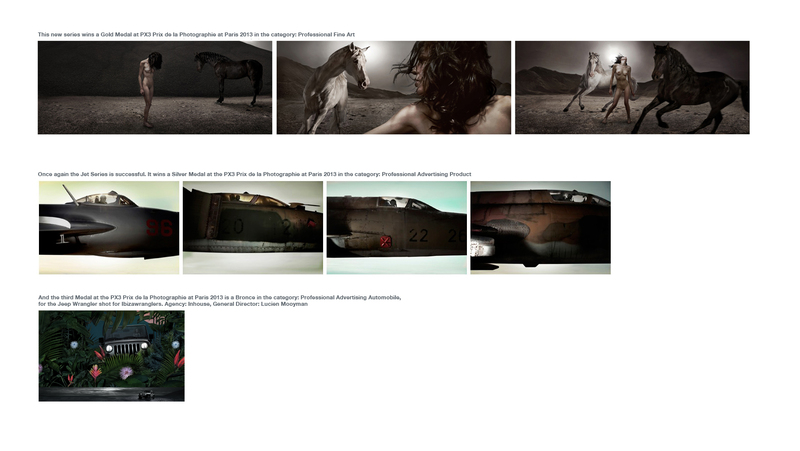 Since 2008 Olivers’ photographs get selected by every new Lürzers’ Archive 200 Best Advertising Photographers Special.